Some say it’s the best kept secret at Concordia: numerous CUW professors are furthering their fields of study through research and educational outreach efforts, many with the support of grant funding. Here are nine ways professors’ passions and expertise are contributing to a vibrant research culture at Concordia. Sem has been the recipient of two National Institutes of Health grants and late last month, he received word that his second grant was renewed for another three years. 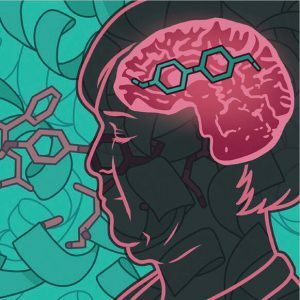 For his most recent effort, he and his UWM and Marquette University collaborators developed a stripped-down estrogen molecule that has proven effective in a model system for treating dementia in women. 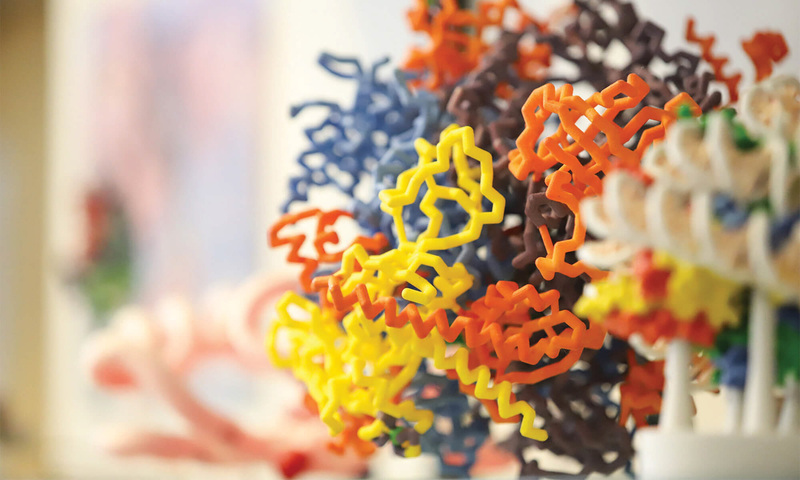 In July, after publishing their work and securing patent protection for their drug lead molecule, the three formed a start-up, Estrigenix, which will allow them to continue their research. Concordia plans to execute a license agreement with the company and owns the issued patent for the drug lead compound. Pickart has joined the UW-Milwaukee (UWM) WInSTEP project, which helps pre-service, middle, and high school science teachers engage more students in classroom-based STEM resarch with an environmental health focus. The project is made possible by a five-year $1.25 million grant awarded in 22016 to UWM. 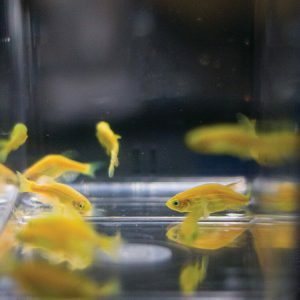 Since joining CUW in 2012, Pickart has engaged hundreds of students each year—through WInSTEP and beyond—via Concordia’s zebrafish lab and in his role as education RIG director for the Zebrafish Disease Models Society. 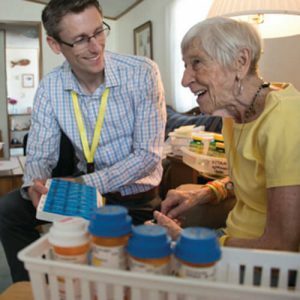 In spring 2018, Concordia faculty from the Schools of Nursing, Health Professions, and Pharmacy began a partnership with Fresh Meals on Wheels of Sheboygan County to offer free in-home health assessments to homebound individuals. This semester they began to involved CUW students in the effort. The work is supported by a $10,533 award from The Council of Independent Colleges’ Intergenerational Connections: Students Serving Older Adults program, which is supported by the AARP Foundation. 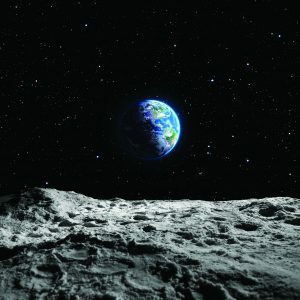 Strycker is a co-investigator on a grant from NASA. His efforts focus on uncovering the faint light from the 2009 Lunar Crater Observation and Sensing Satellite (LCROSS) mission in recordings and to determine the properties of this man-made lunar explosion. Four CUW undergraduate students have worked with Strycker on the grant since its start, traveling with him to collaborate and present results at multiple out-of-state conferences. In March 2017, Calhoun received a grant from Bader Philanthropies, Inc. to engage students from the Milwaukee High School of the Arts (MHSA) in learning about the historical period known as the Great Migration. 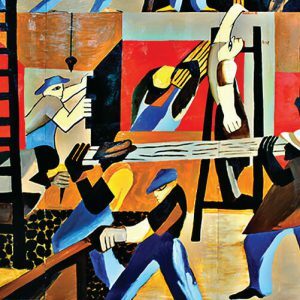 The movement, which took place from 1916 to 1970, forever changed the culture of numerous northern cities, including Milwaukee, and created new forms of artistic expression. Under Calhoun’s lead, 15 Concordia students partnered with about 45 MHSA students to create two 12-by-12 murals and one large painting that pay it tribute. Uden currently has two grants from the Wisconsin Department of Public Instruction, which he secured in 2017 on behalf of CUW’s School of Education. 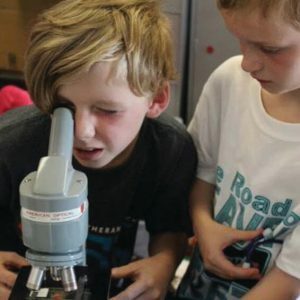 The first one provides scholarships for students in grades 6-8 to attend science, technology, engineering, arts, and math (STEAM) camps put on annually by CUW faculty. The second grant supports the College FAIR program, which empowers first-generation high school seniors or students from underrepresented populations to become college-ready while living on campus during an abridged three-week summer term. In 2017, CUW received a $15,000 grant from the American Cancer Society’s Tobacco-Free Generation Campus Initiative Grant Program, supported by CVS Health Foundation, to help CUW become a campus that promotes a tobacco-free environment. 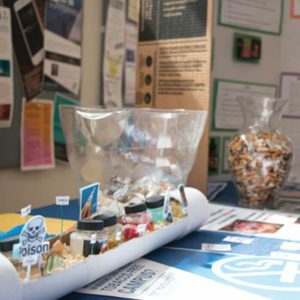 Cero-Jaeger and Oldani are the faculty mentors for the student-led Tobacco-Free Through IPE Task Force, an interprofessional team of students who are leading advocacy efforts on campus. The grant also supported cessation counseling training through the American Lung Association for faculty and students. In 2014, Lovern began to receive funding from the Mick A. Naulin Foundation to research the impact of pharmaceuticals in the waterways. 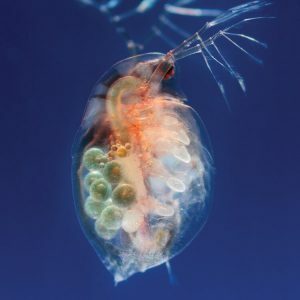 Lovern has involved CUW undergraduates in the effort, and together they work with Daphnia magna, a tiny freshwater crustacean conducive to research because of its short lifespan. Lovern again received a renewal this year bringing the total award amount to $36,125. Concordia supports undergraduate research, too. Read about the currently funded projects and learn more about the Undergraduate Research Program at cuw.edu/undergraduate-research-program.